More homeowners are trying to extend their pool season by installing a swimming pool heater. 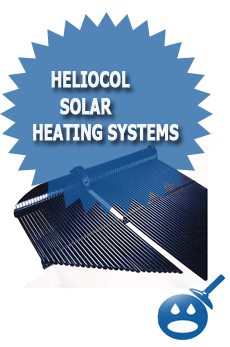 Today’s heaters are designed with the most advanced technology and high quality materials. The heaters of today are more compact in size than the old fashioned heaters. They are more cost effective and they do Hayward offers a full line of swimming pool heaters that would be a great addition to your swimming pool. All of their heaters come with a warranty and the most advanced and innovative designs. Currently, Hayward offers three main types of swimming pool heaters, the Heat Pro, The H Series and the Universal H-Series Low NOx Heaters. If you are considering adding a heater to your backyard, take a look at these three heaters and if you weren’t considering a Hayward before, you just might now. The Hayward Heat Pro offers the homeowner more efficient heating of your inground swimming pool. 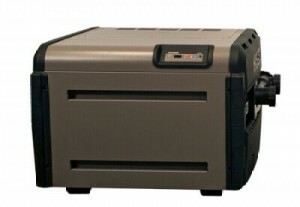 The Heat Pro will provide Hayward’s own ArmourCoil Protected Heat Exchanger. With this style of heat exchanger you will get their one of a kind coating that will separate the metal from the pool water that contains chemicals that may cause a heater to corrode. But with the ArmourCoil System you can eliminate that. On the Heat Pro Heater you will find a Digital L.E.D Control Panel, this panel is easy to read and will give the homeowner a digital readout of the water temperature and if there are any problems the heater offers a diagnostic analysis. The heater has a round base style unlike other heaters that are bulky and square. The Heat Pro even has important hurricane tie downs for those who live in hurricane prone areas. 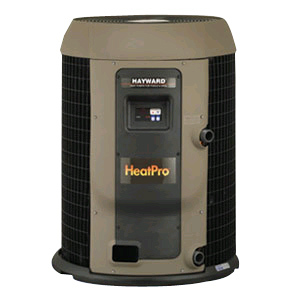 There are 5 different models in the Heat Pro Series Heater from Hayward. They range in BTU’s from 81,000 to 116,000 Btu’s; they have electrical specs of 208-230 volts, 60 hertz’s and single phase. They have circuit amperage of 30 or 50. If these features and specifications fit your needs, you can find the Hayward Heat Pro in your local swimming pool supply store. The Hayward H Series swimming pool heaters are designed to work best with in-ground pools and spas. The H Series was designed with the most advanced technology that includes a direct spark heater. The H Series is designed with Hayward’s patented single header ” V” baffle design. This design provides a longer heater life and a fast heating. There are many heaters out there that end up with a lot of condensation, but with this design there is very little condensation. The H Series Heaters offer an easy to read Control Panel this panel also has a digital temperature display and a diagnostic read out that lets the homeowner know that they have a problem. 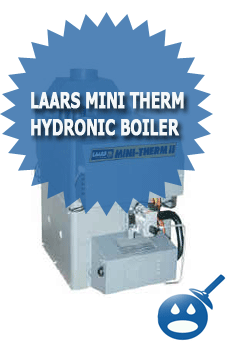 The heater is made from a strong stainless steel and the H Series Burners are easily removed separately or as a unit. This makes this heater easy to maintain and easy to clean. There are 6 different models in the H Series Heaters from Hayward. The BTU’s range from 150,000 to 400,000. The ignition system is either an electronic system or a Millivolt system depending on which model heater you decide to go with. These heaters are a bit more powerful than the Heat Pro, if you have a big pool with a spa of just a spa, this heater may be just what you are looking for. 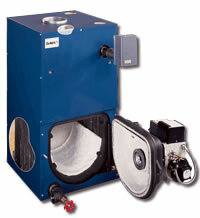 The Hayward H- Series Universal Low NOx is the newest in the line of heaters by Hayward. This heater has low emissions making it better for the environment than other industry heaters. The Hayward H- Series Universal Low NOx has a forced air draft system that allows hot air to be constantly moving through the system at an exact flow rate. With this system you won’t have to worry about what the weather is outside the heater will effective heat the pool on raining days as well as windy days. Like the H-Series Heaters, the Universal Low NOx Heater uses the single header V baffle design that will provide the heater with a longer life. The heater has an easy to read digital control panel. It will also provide a quick diagnostic report if a part in the heater is experiencing a problem .The heater is designed with a polymer header that allows the hydraulic system to save you energy and will save you money. This polymer coating will also protect the heater from weather conditions that cause rust and corrosion. The Hayward H- Series Universal Low NOx has 6 different models in the series. They have a BTU range from 250,000 to 400,000. 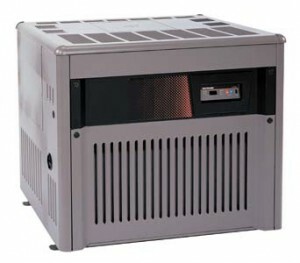 This heater can be powered with either natural gas or propane. If this heater is what you are looking for, something strong, reliable and long lasting then talk to your local Hayward swimming pool heater store and order this heater today. When you hear the name Hayward, you automatically think quality. So why consider purchasing a swimming pool heater from another manufacturer. 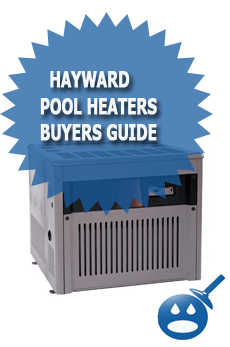 Check out the other heaters and great products that Hayward has to offer. You will save money and a have a great heating system. I just had my control panel lose all power to it. It was off and when I cycled the heater circuit breaker it worked fine. Then a few days later, it did the same thing. I cycled the power and it never turned back on. I need to open the heater and start testing the circuits. It was bought dec 2007 and I have the so-called Totally Hayward warranty. We will see how good they are with honoring this warranty. Seems like this heater has its problems in the winter time. We are having the same problem. Pls. email me back, I’d like to know if you had any luck with Hayward also would likt to know your model and series # .I may have some important information to help you. My Hayward H250 ED2 went power off the LED panel. I tested the module & transformer & they seemed ok. Calling in service. It has worked perfectly for a few yewars. Any suggestions would be great. We are having problems with our Hayward heater too. Hayward had a re-call of several different heaters. I know they were the “H” series.So you should check the CPSC web-site to see if yours is listed there. We had our heat exchanger replacement free by hayward, when I told them flames shot out the top of the heater, their first response was “your warranty was up.” The heater was 35 months old and only used approx. 35-40 times for our spa. At first they took no responsibility. BUT when I mentioned that I knew they had a big re-call on “other” hayward heaters and that I was going to contact the CPSC(consumer product safety commission). They had a new attitude and didn’t want us to report our problem and they then replaced it for free (which I believe was a $1,400.00 part) Now here we are again another 36 months after the replacement was installed,same problem flames shot out of the top of the heater and it won’t stay lit.We had someone look at it and they said now the entire heater is shot.This is a $2,700.00 replacement. Again we contacted Hayward and they again will pay for a exchanger, but I will be reporting them to the CPSC, as hayward could not tell us WHY this is happening.Because WHY would anyone pay to replace a heater that has caught fire every 3 years. It just doesn’t make sense.I beleive they probably have paid other with this kind of “hush money for parts” knowing they have had other complaints.So I am going to make it publicly known that hayward heaters only last approx. 3 years at which point they catch on fire. I have a Hayward H300P1 propane pool heater that is having the same flame issue. The flames are shooting out the top of the heater almost three feet and the whole exterior of the cabinet is over heater. Who would be the best person at Hayward to address this problem. Thank You. I ahve just had to replace the core and not even one year old. Apparentley these heaters do not have a high heat limit switch or a low pressure flow shut off switch. They said the water must have been shut off to the heater. I do not think so. Looks like we are going to court. Our 3 year old H400 thermister went out, when the tech pulled the cover and water checked the install a water leak was shown to be coming through the core. Tech recce-mended replacing the heater @ $2500 (**&^%. ) he said all the water damage inside, jsut be better off to replace the whole unit. The unit is one month out of warranty.